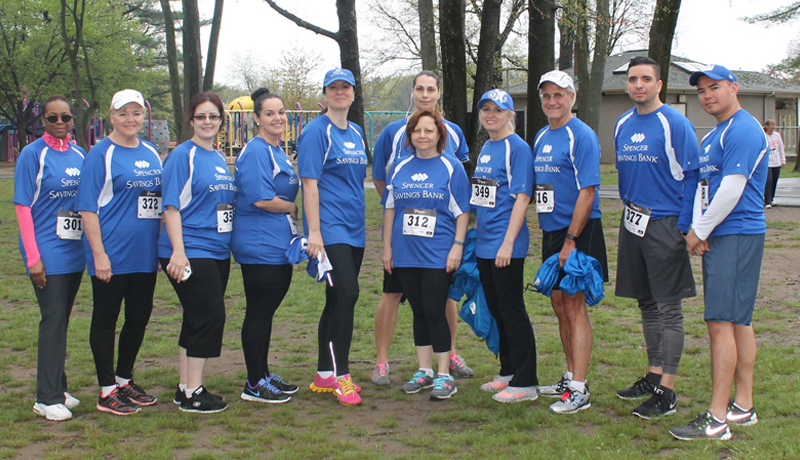 Spencer Savings Bank kicked off its 5K run season by sponsoring the Saddle Brook Educational Foundation 5K Run/Walk. A team of 12 employees and family members ran the race which took place at the Saddle River County Park in Saddle Brook. Proceeds from the run benefitted the Saddle Brook Educational Foundation.